Mussolini earned this for his gifts to the Vatican, not only in the Financial Convention, but also in the Conciliation Treaty and Concordat. Following T. Crosthwaite, especially noteworthy clauses have been marked with asterisks. The Lateran Treaty was also the first constitution of the Vatican City State from 1929 when it was signed, until 2000 when it was it was updated to the current (second) constitution, called the Fundamental Law. In the name of the Most Holy Trinity. Italy recognizes and reaffirms the principle established in the first Article of the Italian Constitution dated March 4, 1848, according to which the Catholic Apostolic Roman religion is the only State religion. Italy recognizes the sovereignty of the Holy See in international matters as an inherent attribute in conformity with its traditions and the requirements of its mission to the world. Italy recognizes the full ownership, exclusive dominion, and sovereign authority and jurisdiction of the Holy See over the Vatican as at present constituted, together with all its appurtenances and endowments, thus creating the Vatican City, for the special purposes and under the conditions hereinafter referred to. The boundaries of the said City are set forth in the map called Annex I of the present Treaty, of which it is forms an integral part. It is furthermore agreed that, although forming part of the Vatican City, St. Peter's Square shall continue to be normally open to the public and shall be subject to supervision by the Italian police authorities, which powers shall cease to operate at the foot of the steps leading to the Basilica, although the latter shall continue to be used for public worship. The said authorities shall, therefore, abstain from mounting the steps and entering the said Basilica, unless and except they are requested to do so by the proper authorities. Should the Holy See consider it necessary, for the purpose of special ceremonies, temporarily to prohibit the public from free access to St. Peter's Square, the Italian authorities shall (unless specially requested to do otherwise) withdraw to beyond the outer lines of Bernini's Colonnade and the extension thereof. The sovereignty and exclusive jurisdiction over the Vatican City, which Italy recognizes as appertaining to the Holy See, forbid any intervention therein on the part of the Italian Government, or that any authority other than that of the Holy See shall be there acknowledged. For the purpose of the execution of the provisions of the preceding Article before the present Treaty comes into force, the Italian Government shall see to it that the territory forming the Vatican City shall remain free from any charge and from possible occupants. The Holy See shall arrange to enclose the access thereto, enclosing such parts thereof as remain open, except St. Peter's Square. It is furthermore agreed that, in respect of the buildings there existing and belonging to religious institutions or bodies, the Holy See shall settle relations with the latter direct, the Italian Government having no part in such arrangements. The Lateran Treaty says that “Italy will see to it...that an adequate supply of the water in its possession is fully assured to Vatican City.” (Art. 6) This is interpreted to mean that Italy pays for the five million cubic metres of water used each year by the Vatican. In 2010 this tiny enclave installed its 100th fountain. Why not? Italy shall provide, by means of suitable agreements entered into with the interested parties, that an adequate water supply be fully assured to the Vatican City. Italy shall furthermore provide for connection with the State railways by constructing a railway station within the Vatican City on the spot shown on the annexed map, and by permitting the circulation of railway carriages belonging to the Vatican on the Italian railways. It shall further provide for direct connection with other States by means of telegraph, telephone, wireless, broadcasting, and postal services in the Vatican City. It shall equally also provide for the coordination of all other public services. All expenses connected with the arrangements above mentioned shall be defrayed by the Italian State, within the period of one year from the entry into force of the present Treaty. The Holy See shall, at its own expense, arrange the existing means of access to the Vatican, and those others which it may consider it necessary to make in the future. Agreements shall be subsequently concluded between the Holy See and Italy concerning the circulation, on and over Italian territory, of land vehicles and aircraft belonging to the Vatican City. The Italian Government undertakes to prohibit the construction within the territory surrounding the Vatican City, of any new buildings which might overlook the latter, and shall for a like purpose provide for the partial demolition of similar buildings already standing near the Porta Cavalleggeri and along the Via Aurelia and the Viale Vaticano. In accordance with the provisions of International Law, it shall be forbidden for aircraft of any kind whatsoever to fly over Vatican territory. On the Piazza Rusticucci, and in the areas adjoining the Colonnade, over which the extra-territoriality referred to in Article 15 hereof does not extend, all structural alterations or street construction shall only be effected by mutual assent. Considering the person of the Supreme Pontiff to be sacred and inviolable, Italy declares any attempt against His person or any incitement to commit such attempt to be punishable by the same penalties as all similar attempts and incitements to commit the same against the person of the King. All offences or public insults committed within Italian territory against the person of the Supreme Pontiff, whether by means of speeches, acts, or writings, shall be punished in the same manner as offences and insults against the person of the King. In accordance with the provisions of International Law, all persons having a permanent residence within the Vatican City shall be subject to the sovereignty of the Holy See. Such residence shall not be forfeited by reason of the mere fact of temporary residence elsewhere, unaccompanied by the loss of habitation in the said City or other circumstances proving that such residence has been abandoned. On ceasing to be subject to the sovereignty of the Holy See, the persons referred to in the preceding paragraph, who, according to the provisions of Italian law (independently of the de facto circumstances considered above) shall not be regarded as possessing any other citizenship, shall be regarded in Italy as Italian nationals. Notwithstanding that all such persons are subject to the sovereignty of the Holy See, the provisions of Italian law shall be applicable to them within the territory of the Kingdom of Italy, even in such matters wherein the personal law must be observed (when they are not covered by the regulations emanating from the Holy See) and, in the case of persons of foreign nationality, the legal provisions of the State to which they belong. Such dignitaries of the Church and persons belonging to the Papal Court as shall be indicated in a Schedule to be approved by the High Contracting Parties, shall always and in every case, even when not citizens of the Vatican, be exempt from military service as far as Italy is concerned, jury service, and any other service of a personal nature. This provision shall also apply to regular officials whose services are considered indispensable by the Holy See, if permanently employed by the latter and earning a fixed salary, or employed in the Departments or Offices mentioned in Articles 13, 14, 15, and 16 hereof and residing without the Vatican City. The names of such officials shall be set forth in another Schedule to be drawn up and approved as above mentioned, and which shall be brought up to date each year by the Holy See. The ecclesiastics whose duty it shall be to participate, without the Vatican City, in the execution of enactments emanating from the Holy See, shall not, on that account, be subject to any hindrance, investigation, or molestation on the part of the Italian authorities. All foreigners in official ecclesiastical employment in Rome shall enjoy the personal guarantees appertaining to Italian citizens, in accordance with the laws of the Kingdom of Italy. Italy recognizes the right of the Holy See to passive and active Legation, according to the general rules of International Law. Officials accredited by foreign Governments to the Holy See shall continue to enjoy, within the Kingdom of Italy, all the prerogatives of immunity enjoyed by diplomatic agents under International Law, and their headquarters may continue to be within Italian territory whilst enjoying the immunity due to them under International Law, even in the event of their State not having diplomatic relations with Italy. It is understood that Italy undertakes in all cases to allow the freedom of correspondence for all States, including belligerents, to and from the Holy See, as well as free access to the Apostolic See by Bishops from all over the world. The High Contracting Parties undertake to establish normal diplomatic relations between each other, by accrediting an Italian Ambassador to the Holy See and a Papal Nuncio to Italy, who shall be the doyen of the Diplomatic Corps, in accordance with the ordinary practice recognized by the Congress of Vienna by the Act of June 9, 1815, in consequence of the sovereignty hereby recognized and without prejudice to the provisions of Article 19 hereof, the diplomats accredited by the Holy See and the diplomatic couriers dispatched in the name of the Supreme Pontiff, shall enjoy within Italian territory, even in time of war, the same treatment as that enjoyed by diplomatic personages and couriers of other foreign Governments, according to the provisions of International Law. Italy recognizes the full ownership of the Holy See over the patriarchal Basilicas of St. John Lateran, Sta. Maria Maggiore, and St. Paul, with their annexed buildings. The State transfers to the Holy See the free management and administration of the said Basilica of St. Paul and its dependent Monastery, also paying over to the Holy See all monies representing the sums set aside annually for that church in the budget of the Ministry of Education. 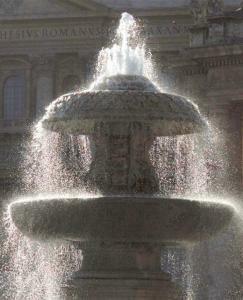 It is also understood that the Holy See shall remain the absolute owner of the edifice of S. Callisto, adjoining Sta. Maria in Trastevere. Italy recognizes the full ownership by the Holy See of the Papal Palace of Castel Gandolfo, together with all endowments, appurtenances, and dependencies thereof, which are now already in the possession of the Holy See, and Italy also undertakes to hand over, within six months after the coming into force of the present Treaty, the Villa Barberini in Castel Gandolfo, together with all endowments, appurtenances, and dependencies thereof. In order to round off the property situated on the northern side of the Janiculum Hill, belonging to the Sacred Congregation of Propaganda Fide and to other ecclesiastical institutions, which property faces the Vatican Palaces, the State undertakes to transfer to the Holy See or other bodies appointed by it for such purpose, all real estate belonging to the State or to third parties existing in that area. The properties belonging to the said Congregation and to other institutions and those to be transferred being marked on the annexed map. Finally, Italy shall transfer to the Holy See, as its full and absolute property, the Convent buildings in Rome attached to the Basilica of the Twelve Holy Apostles and to the churches of San Andrea della Valle and S. Carlo ai Catinari, with all annexes and dependencies thereof, and shall hand them over within one year after the entry into force of the present Treaty, free of all occupants. The property indicated in Article 13 hereof and in paragraphs (1) and (2) of Article 14, as well as the Palaces of the Dataria, of the Cancelleria, of the Sacred Congregation of Propaganda Fide in the Piazza di Spagna of the S. Offizio with its annexes, and those of the Convertendi (now the Congregation of the Eastern Church) in Piazza Scossacavelli, the Vicariato, and all other edifices in which the Holy See shall subsequently desire to establish other offices and departments although such edifices form part of the territory belonging to the Italian State, shall enjoy the immunity granted by International Law to the headquarters of the diplomatic agents of foreign States. Similar immunity shall also apply with regard to any other churches (even if situated outside Rome) during such time as, without such churches being open to the public, the Supreme Pontiff shall take part in religious ceremonies celebrated therein. The property mentioned in the three preceding Articles, as also that used as headquarters of the following Papal institutions - the Gregorian University, the Biblical, Oriental, and Archaeological Institutes, the Russian Seminary, the Lombard College, the two Palaces of St. Apollinaris, and the Home of the Retreat of the Clergy dedicated to St. John and St. Paul - shall never be subject to charges or to expropriation for reasons of public utility, save by previous agreement with the Holy See, and shall be exempt from any contribution or tax, whether ordinary or extraordinary and payable to the State or to any other body. It shall be permissible for the Holy See to deal with all buildings above mentioned or referred to in the three preceding Articles as it may deem fit, without obtaining the authorization or consent of the Italian governmental, provincial, or communal authority, which authorities may in this regard rely entirely on the high artistic traditions of the Catholic Church. As from January 1, 1929, salaries of whatsoever nature payable by the Holy See, or by other central bodies of the Catholic Church and by bodies administered directly by the Holy See whether within or without Rome to dignitaries employed and salaried (whether permanently or not, shall be exempt from any contribution or tax whether payable to the State or to any other body. The artistic and scientific treasures existing within the Vatican City and the Lateran Palace shall remain open to scholars and visitors, although the Holy See shall be free to regulate the admission of the public thereto. Diplomats and envoys of the Holy See, as well as diplomats and envoys of foreign Governments accredited to the Holy See, and the dignitaries of the Church arriving from abroad and traveling to the Vatican City, provided with passports of the States whence they come duly furnished with the visa of the Papal representative abroad, shall be allowed free access to the Vatican City over Italian territory without formalities. Goods arriving from abroad for destinations within the Vatican City, or without it boundaries for institutions or offices of the Holy See, shall invariably be allowed transit over Italian territory (from any part of the Italian boundary as also from any seaport of the Kingdom) free of payment of any customs or octroi dues. All Cardinals shall enjoy, in Italy, the honours due to Princes of the Blood. Those Cardinals who may reside in Rome without the Vatican City shall, for all purposes, be considered citizens thereof. In the event of the office of the Holy See falling vacant, Italy shall make special arrangements for the free transit and access of Cardinals over Italian territory to the Vatican, and shall provide that their personal liberty is not impeded or limited. Italy shall also take all measures, within her territory surrounding the Vatican City, necessary to prevent the commission of any act which may in any way disturb the meetings of the Conclave. The same provisions shall apply to Conclave held beyond the boundaries of the Vatican City and to Councils presided over by the Supreme Pontiff or his Legates, and with regard to all Bishops summoned to attend them. At the request of the Holy See, or by its delegate who may be appointed in single cases or permanently, Italy shall provide within her for the punishment of offences committed within the Vatican City, save and except when the author of the offence shall have taken refuge in Italian territory, in which event he shall immediately be proceeded against according to the provisions of the Italian laws. The Holy See shall hand over to the Italian State all persons who may have taken refuge within the Vatican City, when accused of acts committed within Italian territory which are considered to be criminal by the law of both States. The same provisions shall apply in regard to persons accused of offences who may have taken refuge within the buildings enjoying immunity in accordance with the provisions of Article 15 hereof, save and except if the persons having authority within such buildings prefer to request members of the Italian police force to enter and arrest such persons. The regulations provided by International Law shall apply for the execution, within the Kingdom of Italy, of sentences pronounced by the Courts of the Vatican City. All sentences and measures emanating from ecclesiastical authorities and officially communicated to the civil authorities, in regard to ecclesiastical or religious persons and concerning spiritual or disciplinary matters, shall without other formality have legal effect in Italy even for all civil purposes. In regard to the sovereignty appertaining to it also in international matters, the Holy See declares that it desires to take, and shall take, no part in any temporal rivalries between other States, nor in any international congresses called to settle such matters, save and except in the event of such parties making a mutual appeal to the pacific mission of the Holy See, the latter reserving in any event the right of exercising its moral and spiritual power. The Vatican City shall, therefore, be invariably and in every event considered as neutral and inviolable territory. The Holy See considers that the agreements signed to-day offer an adequate guarantee for assuring to it, together with the requisite liberty and independence, the pastoral administration of the Roman Diocese and the Catholic Church throughout Italy and the entire world, and it declares the Roman Question to be definitely and irrevocably settled and therefore eliminated, and recognizes the Kingdom of Italy under the Dynasty of the House of Savoy, with Rome as the capital of the Italian State. Italy, on her part, recognizes the State of the Vatican City under the sovereignty of the Supreme Pontiff. The law dated May 13, 1871 (No. 214) and any other dispositions contrary to the present Treaty, are hereby abrogated. Within four months after the signature thereof, the present Treaty shall be submitted for ratification by the Supreme Pontiff and the King of Italy, and shall enter into force as soon as ratifications are exchanged. Dated in Rome this 11th day of February, 1929. The Treaty of the Lateran, by Benedict Williamson, with a forward by his eminence [Francis] Cardinal Bourne, Archbishop of Westminster, Burns Oates & Washbourne Ltd., London, 1929, pages 42-66. The decorations awared by the Vatican to Italian dignitaries as a reward for the Lateran Pacts set off a round in the other direction. Fascist Italy returned the compliment by awarding the Order of the Annunziata to the Vatican negotiators of the Lateran Pacts: the Vatican lawyer Francesco Pacelli (elder brother of Eugenio), Cardinal Pietro Gasparri and Pietro Tacchi Venturi, SJ. 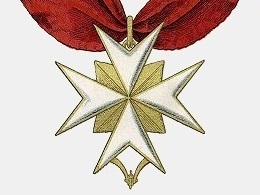 For his part, King Vittorio conferred the Supreme Order of Santissima Annunziata upon Cardinal Eugenio Pacelli, the new Vatican Secretary of State.